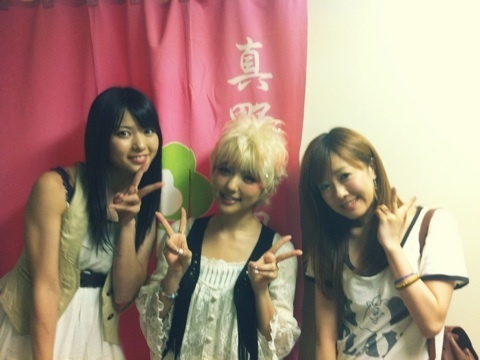 ▪Berryz Koubou’s Saki Shimizu and former Hello! 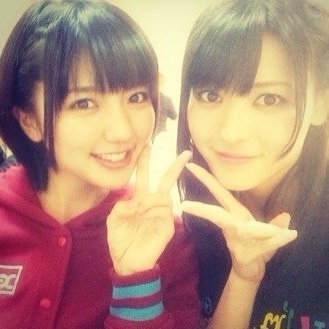 Project soloist Erina Mano posted 2-shots with Maimi from the Hello! 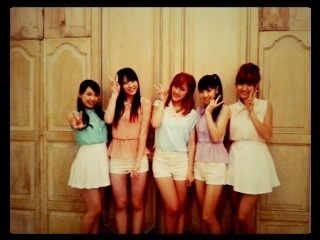 Project “COUNTDOWN LIVE” in updates on their official blogs. ▪”Hello! Station” episode 48 has been uploaded to the Hello! 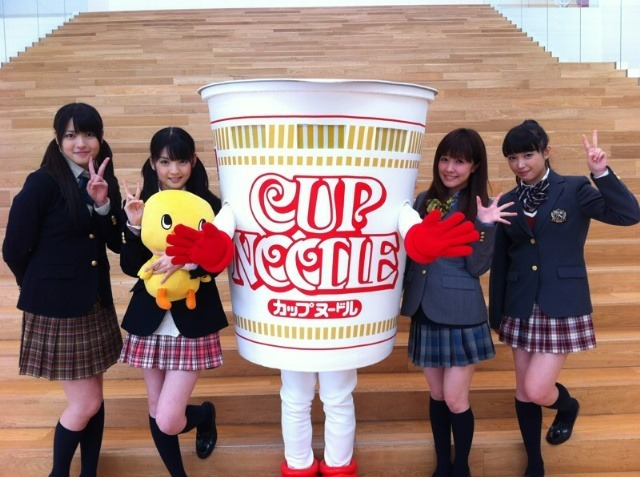 Station channel and includes New Year’s comments from ℃-ute as well as a clip of the Hello! Station Dance Club practice and a comment about the group from Maimi. ▪The e-LineUp listing for the Maimi solo DVD “Smiling sky”, which recently shipped out to those who ordered it, has been updated with the cover for the DVD. ▪Those who order the latest ℃-ute “Alo-Hello!” photobook from 7net shopping can get a photo of Maimi exclusive to the online shop. 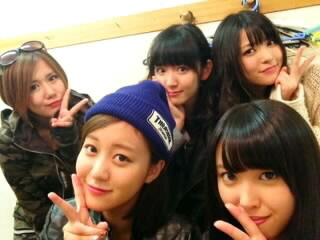 ▪Maimi made appearances in the blogs of (from left) fellow ℃-ute members Saki Nakajima and Airi Suzuki and Berryz Koubou members Miyabi Natsuyaki and Saki Shimizu. 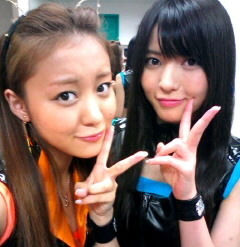 Berryz Koubou’s captain, Shimizu Saki, shared this 2-shot with “Mii-tan” in an update on her official blog today. ▪Hello! Project soloist Mitsui Aika posted some 2-shots with her and the other H!P members in an update on her official blog yesterday, including this one with Maimi. 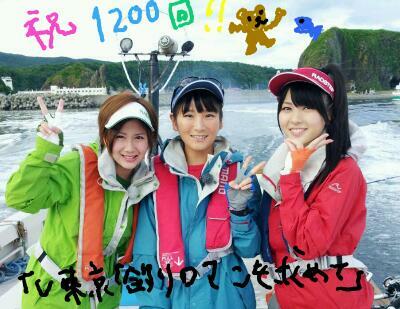 ▪Berryz Koubou’s “captain” Shimizu Saki shared this 2-shot with “Mii-tan” in an update on her official blog. 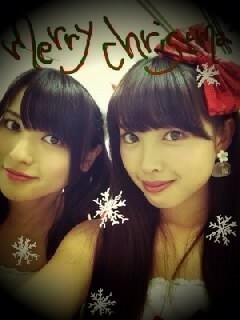 Captain also wrote Maimi gave her a letter the other day, and thanked her for it. Hello! 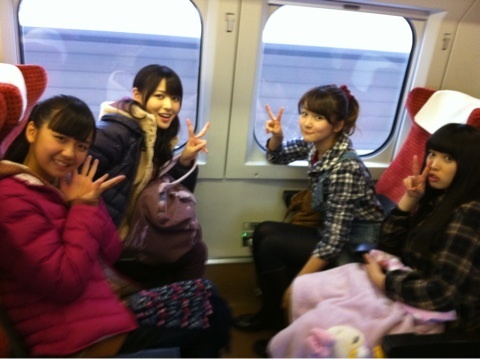 Project soloist Mitsui Aika travelled with Maimi, Nacky, and Miyazaki Yuka to Yamagata to film for “Hello! 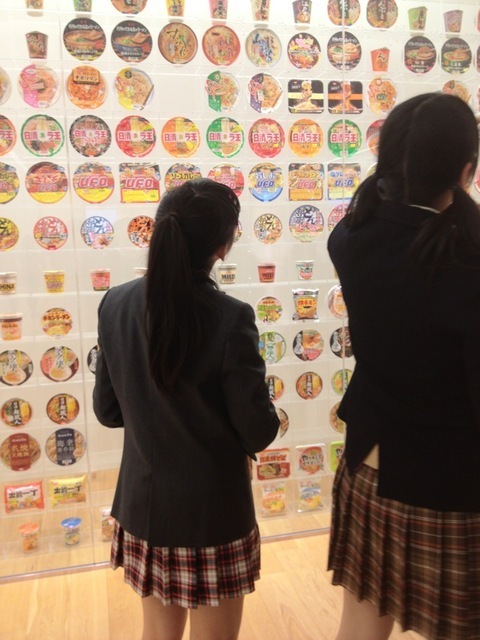 SATOYAMA Life”, and Aika uploaded several pictures from their trip in an update on her official blog. In her first update on the trip, Aika wrote that the member of the group who was playing around in the snow the most was… Maimi. 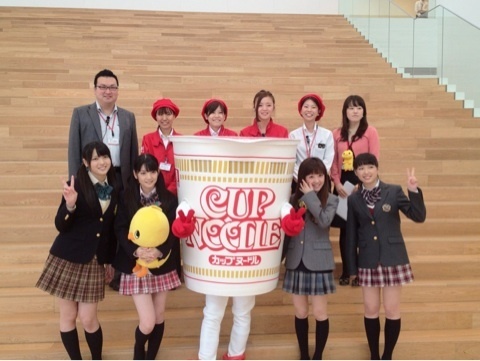 Berryz Koubou’s Shimizu Saki shared this group shot of the team that went to the Cup Noodles Museum several days ago in an update on her official blog. 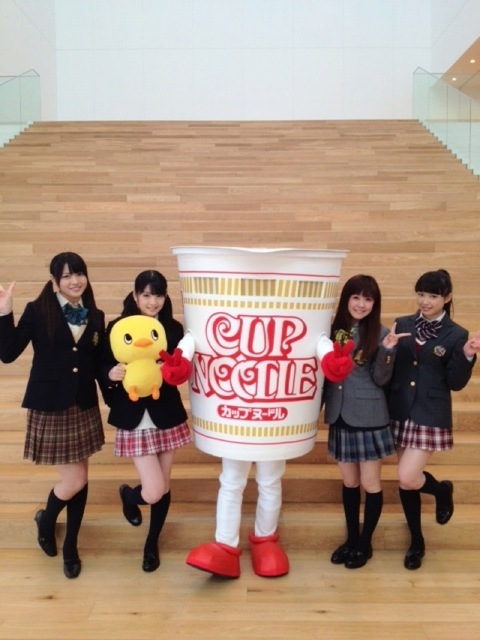 In an update on the official ℃-ute blog, fellow ℃-ute member Nakajima Saki uploaded this collage of the group that went to the Cup Noodles Museum today: herself, Maimi, Morning Musume’s leader Michishige Sayumi, and Berryz Koubou’s captain Shimizu Saki. 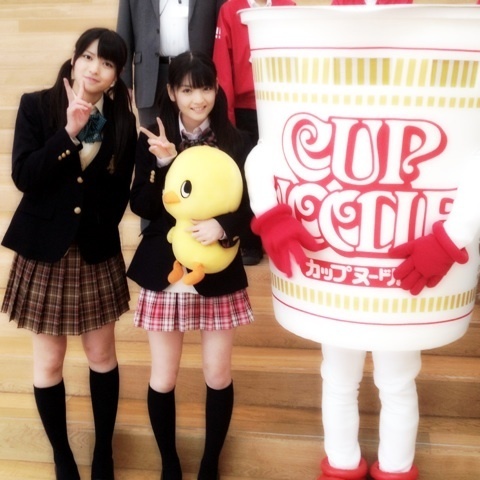 Sayumi shared a ton of photos from the day on both her Ameba and GREE blogs. 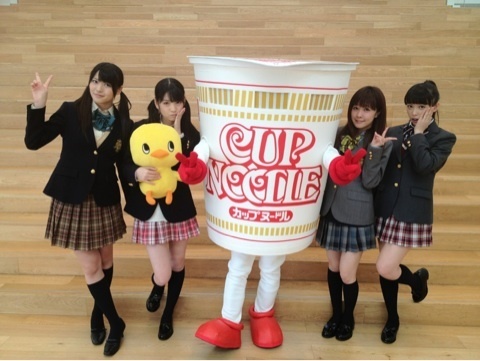 Captain also posted a group shot in an update on her official blog. As mentioned in Maimi’s update, Berryz Koubou’s Natsuyaki Miyabi went and saw “Sugar Spot” yesterday, and wrote about it in an update today on her official blog, which included this shot of Maimi. 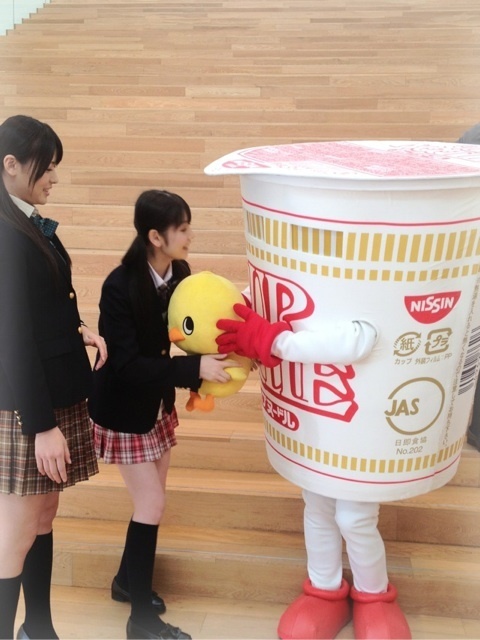 Berryz Koubou’s captain Shimizu Saki went as well, and shared this 2-shot with “Mii-tan” in an update on her official blog. Later, she posted an entry about her interview for “TopYell” with Maimi and S/mileage’s Wada Ayaka, and then shared a pair of 3-shots. The “UTB” Twitter tweeted this shot of Maimi and reminded everyone of the release events for “Hatachi”. The Gatas Brilhantes H.P. Facebook page uploaded this picture of the team line-up, featuring number 17 Maimi. 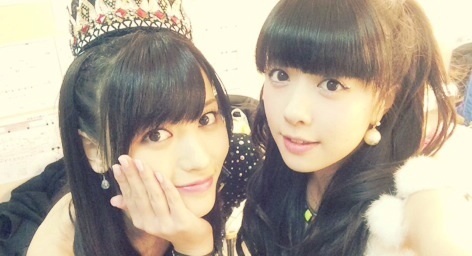 Berryz Koubou’s captain Shimizu Saki shared this 2-shot with Maimi in an update on her official blog. Hello! Project soloist Mitsui Aika uploaded several collages from the SATOYAMA bus tour today in an update on her official blog, including these two which feature Maimi. Berryz Koubou’s Natsuyaki Miyabi shared these two pictures featuring her DIY♡ bandmate Maimi in an update on her official blog, and wrote about how “Maimicchi” caused it to rain on an otherwise clear day. 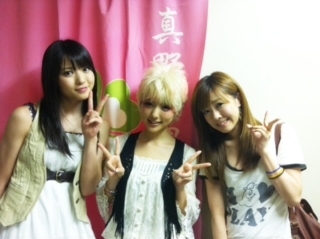 Berryz Koubou’s captain Shimizu Saki uploaded this 2-shot with “Mii-tan” in an update on her official blog, and wrote she glad they could sing a High-King song together the previous week. “Otona no Mugicha” theater troupe member Namiki Shuusuke posted these pictures of the “Sugar Spot” practice in an update on the “Otona no Mugicha” blog. 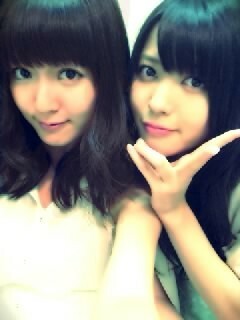 Fellow ℃-ute member Suzuki Airi uploaded a couple shots featuring Maimi in her update today on the official ℃-ute blog. 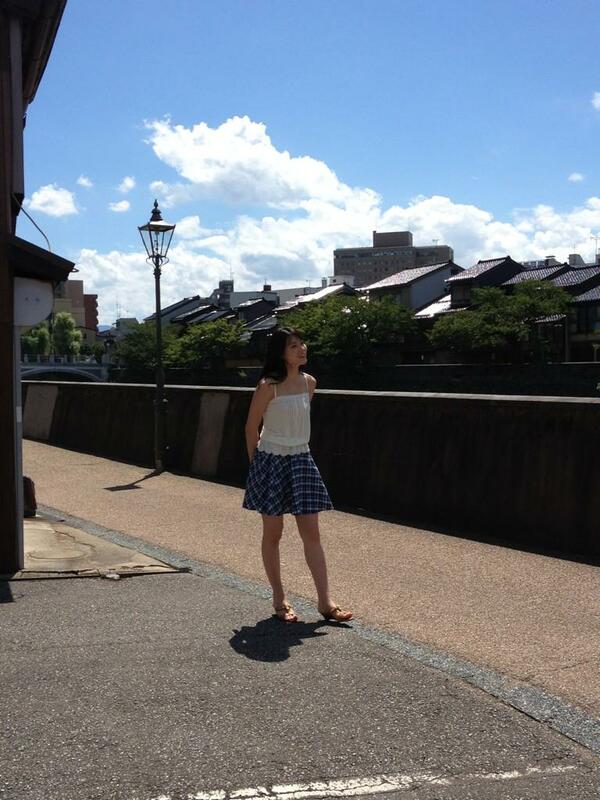 Berryz Koubou’s captain Shimizu Saki shared these two shots of Maimi in a “Hello! Channel”-themed update on her official blog. 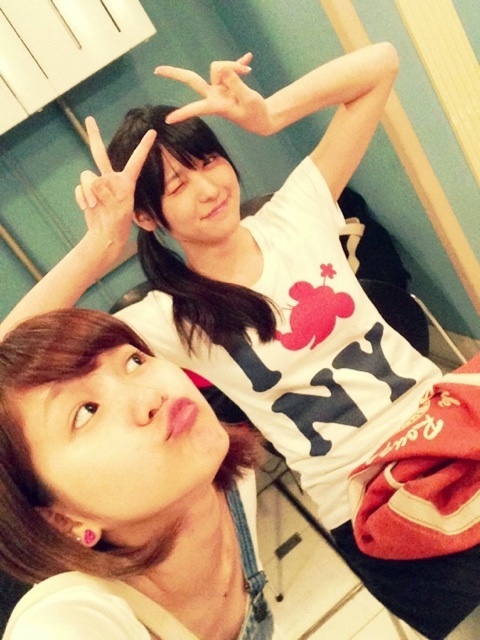 Berryz Koubou’s captain Shimizu Saki uploaded this 2-shot with Maimi in an entry on her official blog, and wrote about how Maimi joined her when she was practicing in Berryz’s dressing room. 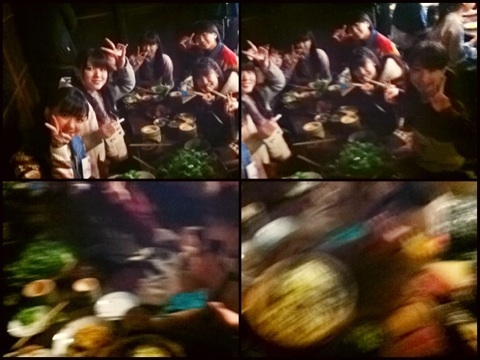 Fellow ℃-ute members Hagiwara Mai and Nakajima Saki, and Berryz Koubou’s Shimizu Saki uploaded these shots of “CAT’S EYE 7” across their entries on their respective blogs. 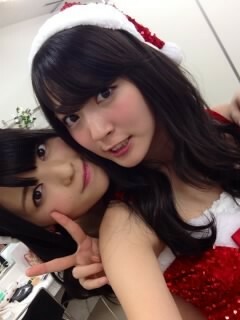 In addition, Saki uploaded this 2-shot with Maimi in an entry on her official blog. 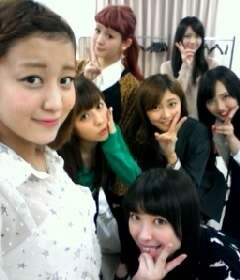 Berryz Koubou’s Sudou Maasa uploaded this 3-shot of her, Maimi, and Mai in an update on the “CAT’S EYE” A-pattern blog. 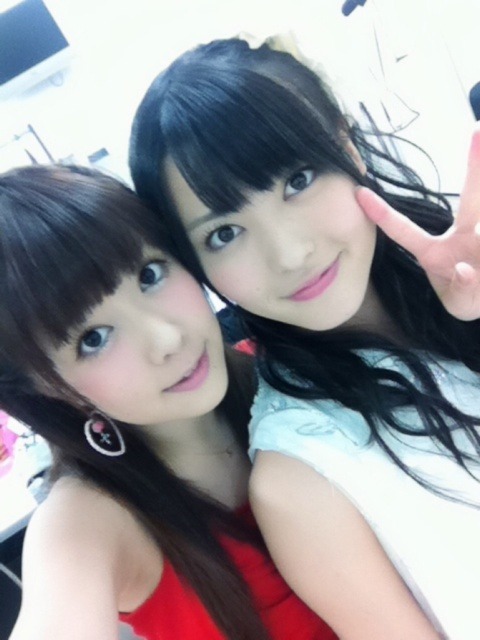 Fellow ℃-ute member Hagiwara Mai shared this 2-shot with Maimi in their “CAT’S♥EYE” outfits in her update on the official ℃-ute blog, and wrote that she was impressed with how quickly Maimi finished her drink when the two of them went to see “Umizaru”. Graduating Hello! 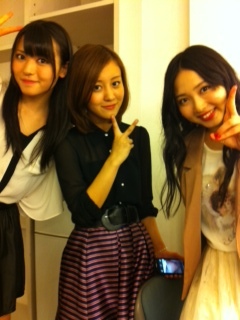 Project soloist Mano Erina posted this 3-shot with Maimi and Berryz Koubou’s Shimizu Saki from when they went to see her play “Usani” in an update on her official blog. 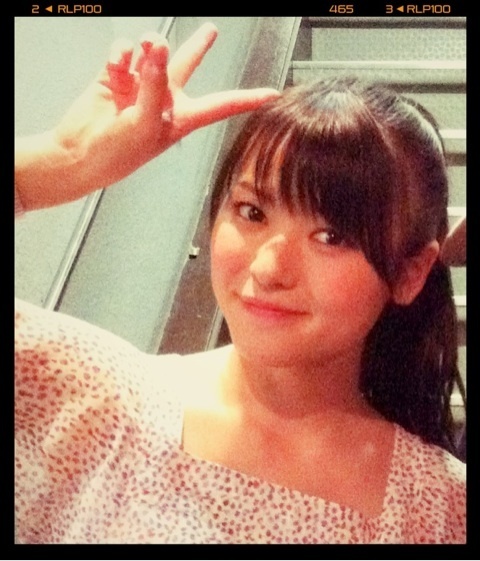 Shimizu Saki also posted a version of the 3-shot in an update on her solo blog. 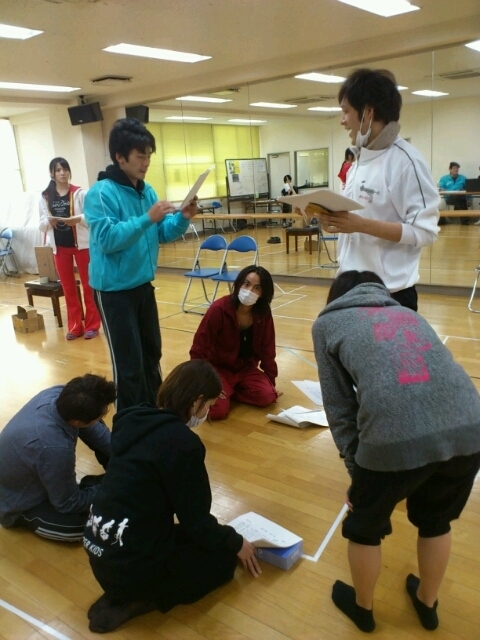 The following shots of Maimi from the practice for the play “CAT’S♥EYE” were featured in an entry on the Gekipro blog. Berryz Koubou’s captain Shimizu Saki shared this seemingly unrelated 2-shot with Maimi in an update on her official blog. Nagahama Iria uploaded this 3-shot with Maimi and Okai Chisato in an update on her official blog, where she reminded everyone to tune in to see them all on “Tsuri Roman wo Motomete” when it broadcasts on August 18th. In this video uploaded to the UFACTORY Channel, Maimi and the ℃-ute members act as if they’re concentrating hard on making the buttons that will be available at their “℃-ute Cutie LIVE 2012 summer” event on 8/9. 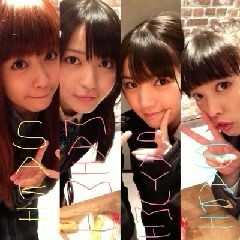 Though they’re all supposed to be acting serious, you can see Maimi breaking a smile at around the 1:07 mark. In addition to the preview of the buttons, you can also see Maimi’s t-shirt and microfiber towel starting at 2:16.